Secondary cataract or so-called & Quot; secondary drain & quot; is the sealing and opacity of the rear lens capsule of the eye. The natural intraocular lens is encased in a capsule that divides into a front and back capsule. In the modern microsurgical technique for cataract, an opening is made in the front capsule, the drapery is lifted and an intraocular lens is implanted on the back capsule that serves as a support. This back capsule may leave cells that may, over time, lead to haze in the capsule. This turbidity leads to visual impairment similar to that of primary cataracts and is therefore called “secondary cataracts” or “secondary drainage”. This complication occurs at about 35% of the. It occurs with a progressive decrease in vision usually between 3 and 6 months after surgery, and after a longer period (even after 5-6 years). Fortunately, despite the significantly reduced vision caused by this secondary membrane, there is a way to remove it. 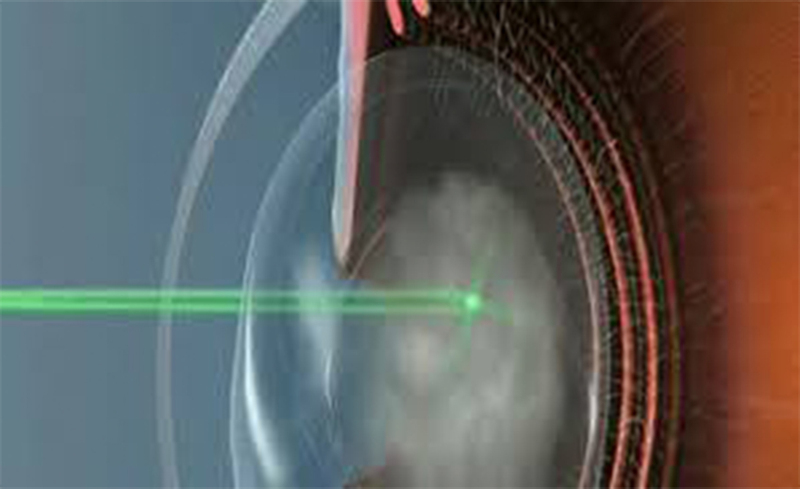 The procedure is called YAG laser capsulomatomy. The procedure takes a few minutes and takes place in outpatient settings. It is painless so that the patient can immediately continue their usual lifestyle. The capsule breaks off with a few laser “shots” on the cloudy capsule, and the optical zone is released. Thus vision is fully restored.